Fishing nets suffer six times more damage when dolphins are around – and overfishing is forcing dolphins and fishermen ever closer together, new research shows. University of Exeter researchers studied the impact of bottlenose dolphins on fisheries off northern Cyprus and said Mediterranean overfishing had created a "vicious cycle" of dolphins and fishers competing for dwindling stocks. Fishing businesses in the area are mostly small-scale, and the study says damage done by dolphins costs them thousands or even tens of thousands of euros per year. Acoustic "pingers" designed to deter dolphins were ineffective, and may even have worked as a "dinner bell" to attract them in some cases, the researchers found – though more powerful pingers might work better. "It seems that some dolphins may be actively seeking nets as a way to get food," said lead author Robin Snape, of the Centre for Ecology and Conservation on the University of Exeter's Penryn Campus in Cornwall. "This is probably driven by falling fish stocks, which also result in low catches – meaning more nets are needed and higher costs for fishers. "Effective management of fish stocks is urgently needed to address the overexploitation that is causing this vicious cycle." The nets examined, which are weighted to create a barrier about 1.2m high on the sea floor, are the most common kind used in the Mediterranean. 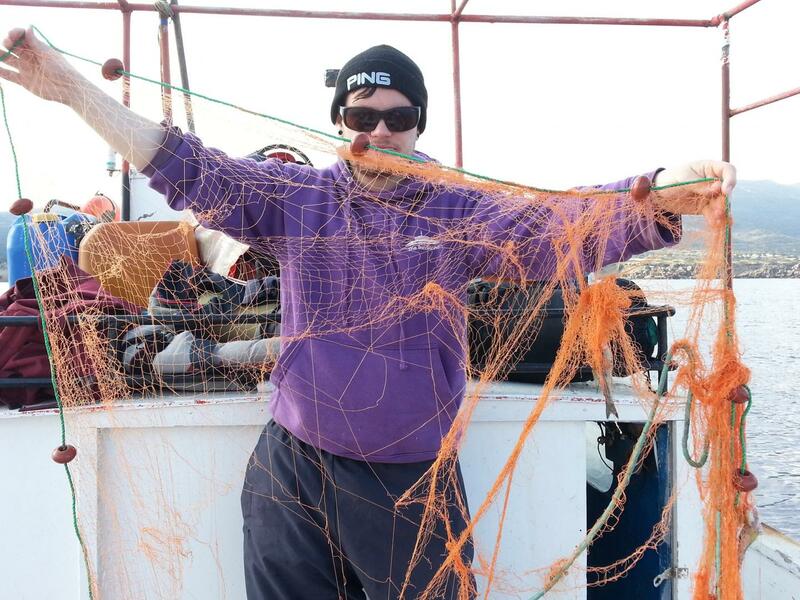 When damaged by dolphins, nets may have large sections missing. The researchers estimate that about ten dolphins are accidentally caught in the study area each year, but under-reporting by fishermen and possible deaths due to swallowing plastic from nets may mean this is an under-estimate. Little is known about this population of dolphins, so even apparently small losses may have a serious impact. The research was supported and partly funded by the Society for the Protection of Turtles. The paper, published in the journal Human Ecology, is entitled: "Conflict between dolphins and a data-scarce fishery of the European Union."